I can’t believe Ip Man won. I had arranged the film posters in the position that I thought they would be most likely to win the best film award, so at 3rd most likely, and not even close to number 2, I am very surprised. At least it didn’t go to Painted Skin. Are these the same people who chose that film as HK’s entry into the Oscars? …sorry, no funny captions this time, because I have less time on my hands these days as opposed to when the Golden Horse awards took place. Barbie Hsu, best actress nominee for Connected, along with Louis Koo, who was not nominated for Connected, although he was really good in that as well, but rather Run Papa Run. Congrats to Barbie Hsu for breaking into movies so successfully. Overall, there wasn’t anything that I was looking forward to performance wise like the Cape No 7 cast singing or the short film “Film Dreams of the Taiwanese” as with the Golden Horse Awards, but I was happy with most of the winners, especially Nick Cheung who was great in both films I saw him in this year, and most seemed very nicely dressed. This entry was posted in Hong Kong, Mainland China, Movies, Taiwan and tagged Alan, awards, Barbie Hsu, Esther Kwan, Hong Kong Film Awards, Karena Lam, Kelly Chen, Kitty Zhang Yuqi, Louis Koo, Nick Cheung, Tang Wei, Vaness Wu, Xu Jiao, Zhou Xun by cfensi. Bookmark the permalink. Zhu Yan Ping is not average at best IMO… he is consistently bad. Jay would do a much better job directing it himself. Zhu also did KF Dunk so maybe they just agreed to continue on after that>. 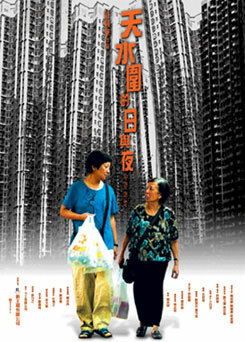 cfensi: But it is Zhu Yanping’s film, right? It’s not like Jay came up with the story like he did with “Secret.” In the end, though, it will be a Jay movie by default. If the movie isn’t very good, people might still watch it just because Jay’s in it. I’m not sure why he’d try out for a role in a movie with such a mediocre director. It’s not like he’s that bad as an actor, at least when he has the right role. He might just be trying to get the money for a future project, but you’d think he’d have better offers. I was lucky enough to catch Red Cliff 2 on the big screen in China, and I really liked Li Chiling’s performance. Even though her role was essentially a Mary Sue role, a Helen of Troy, which doesn’t leave room for much acting, I thought she got the audience to connect with her and sympathize with her…she made it believable that these guys would be fighting over her. Although I bothered the whole time by the height difference btw her and Tony Leung. And her skin is a lot nicer. 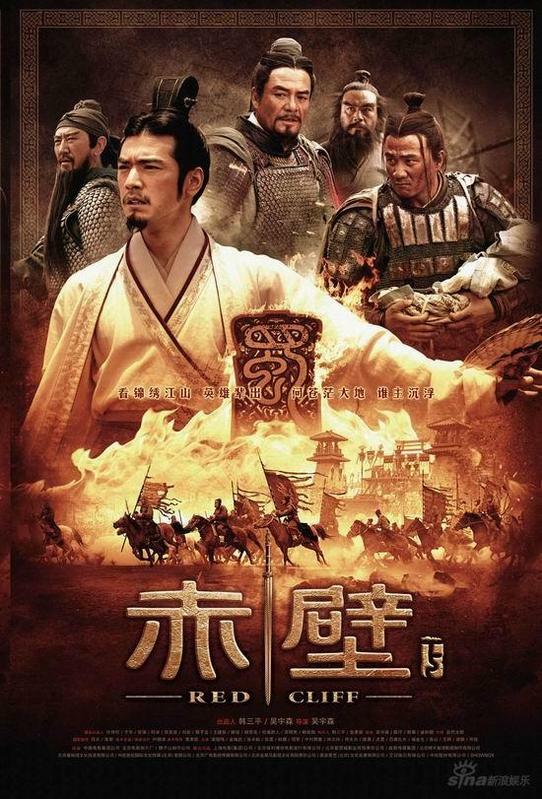 Yes, it’s shallow, but so sue me…I was still just irked by the fact that my favorite Three Kingdoms character was played by Tony Leung. She may not have done much in Red Cliff part 1, but the whole movie was kind of eh. In fact I didn’t finish it at all, and didn’t care that I didn’t finish it while watching part 2.
oh dear, is that Vanness? 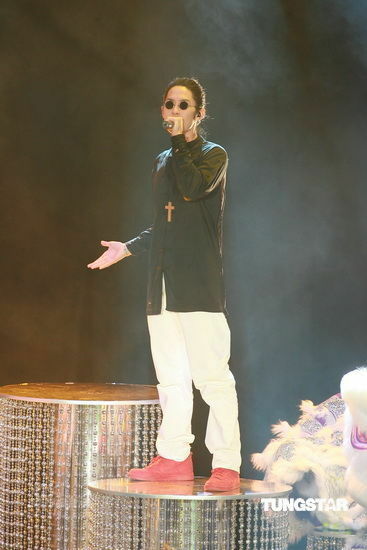 He looks like a blind priest. Abstanince must really be getting to him. cfensi: I’m not always so sure about that, LOL, but he *did* recently write a song for Song Zuying, so I’ll put some more faith in him for that. Of course, that doesn’t matter in this case. Jay isn’t the director, so I don’t think he had that much of a say in this. Sparrow should have won for soundtrack…maybe cinematography as well. Red Cliff soundtrack was pretty epic but come on…Sparrow shouldve won that. Xu Jiao’s crying speech was really fake. Not sure who told her to do that. I would have preferred her do a more natural speech, like a normal kid would do, like when Wu Jing Tao won a few years back for After This Our Exile. Sure, he stumbled on his speech but this was just screamed of “fakeness”. Ip Man for best film? I liked Ip Man but Best Film should’ve been Ann Hui’s. 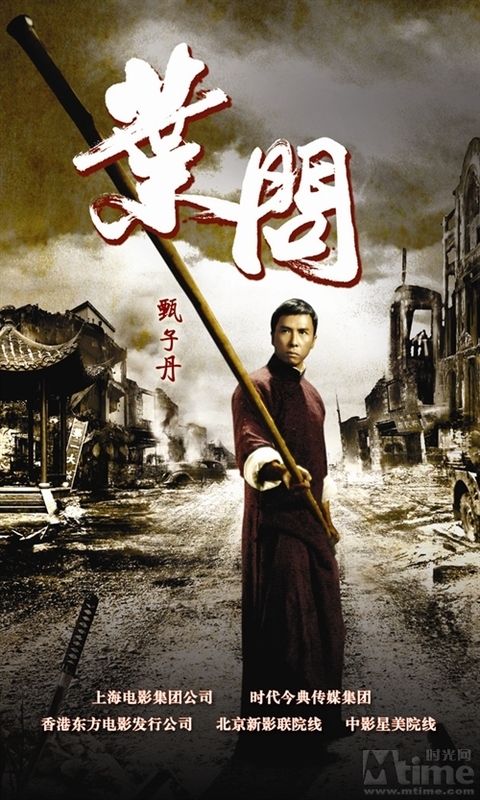 Id take To’s Sparrow over Ip Man for Best film as well. Well, atleast Painted Skin didnt win it. Best Director was a good choice. It was either her or Johnnie To – or maybe John. Nick deservedly won best actor – though if he wasnt it the comp I would have given it to Donnie. I thought Liu was good for supporting actor. The guy is in tons of movies but doesnt get much recognition or credit so good for him. Ip Man deservedly won Best Action and Assembly deservedly won Best Asian film. that’s not kelly chen; she’s model/actress Xiong Dailin from China and Aaron Kwok’s rumored girl friend. is not Kelly Chen, I think she played wife of Donnie Yen in IP man. and do you think it is her =)) ! She was called a vase after her acting part 1. I thought she tried but it wasnt that great. I heard her acting in part II was better though. Havent got to see it yet so I;ll just have to see when I watch it. Whats Ci Ling about? Whos directing? I think Lin Chiling is quite willing to try new things. I love Lin Chiling’s personality, and Jay Chou has phenomenal taste in talent so she can’t be that bad of an actress. I liked her screen presence in Red Cliff. Xu Jiao is very cute. I hadn’t really seen her dressed as a girl that much before, though. Is the Ling Chiling in “Red Cliff” the same girl who’s going to be in “Ci Ling” with Jay Chou? Why’s she in multiple movies that involve horses if she’s so afraid of them?! Xu Jiao’s so adorable. I think she would’ve been a better young Daiyu than Lin Miaoke.